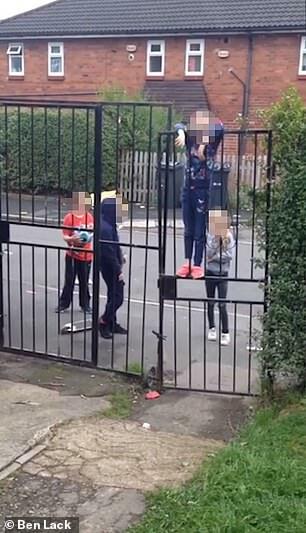 This is the shocking moment a young child calls a woman a ''f****** sl*g' and threatens to 'get in' to her house while swinging from a garden gate. 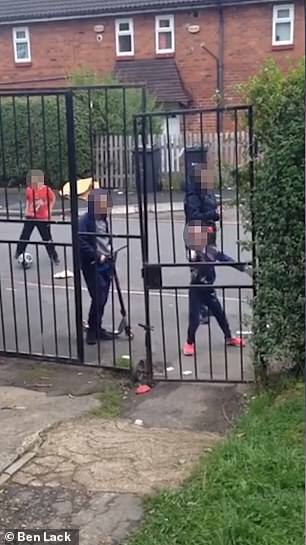 In the video, filmed in the Halton Moor area of Leeds, half a dozen children are seen playing in the street on bikes and scooters as one little girl walks towards the camera. The girl, who is wearing pink trainers, poses and says 'take a picture' before dropping her hands to the floor and starting to shout abuse. While messing around on the floor the little girl can be heard saying 'meeeh f****** b*****d' and 'meeeh Polish boy' as she looks up. 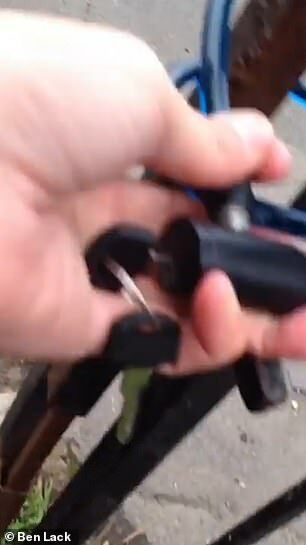 As she is talking the person behind the camera holds onto a lock on the metal gate and the camera goes black as they walk back towards the house. 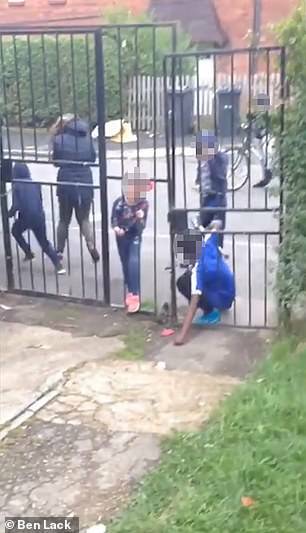 After a few seconds the little girl is seen again, clinging to the gate and shouting. 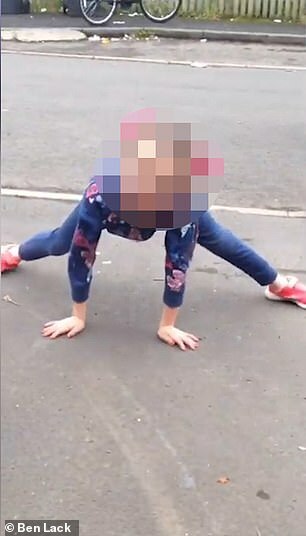 The young girl, whose age is not known, then continues shouting as five other children stand around her on the residential street. 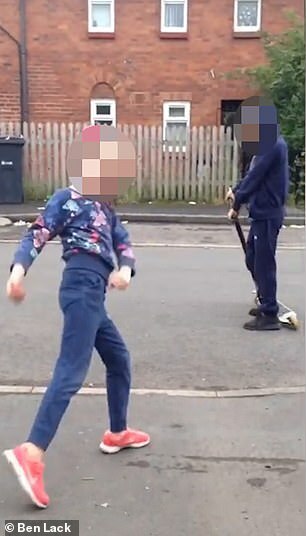 Two other boys, one with a scooter, then join her at the gate and start to shake it and kick at the bottom. Another person, although it is not clear who, can be heard shouting back at her as she continues to scream at the house and people recording. A young boy then throws a crushed plastic drinks bottle over the fence and it lands on the front garden's grass. The little girl shouts 'sl*g' a number of times more and drags out the word as she points. She then shouts 'This is the f****** worst garden I've ever seen' before climbing up on the gate and standing on it. A little boy asks 'are you calling the police' before the young girl shouts for the last time, again threatening to get into the house. what the f**k is a 'sl*g'? will pass it on to every one in her life and they will do the same. This is what happens globally where the populations are ruled by governments. Future. Avoid all religion, politics and public schooling and row housing. Study nature and how it works. Be well. Last time i was called a slug, I killed the kid. NOBODY CALLS ME A SLUG, NOBODY!!! I am not slow and slimy.